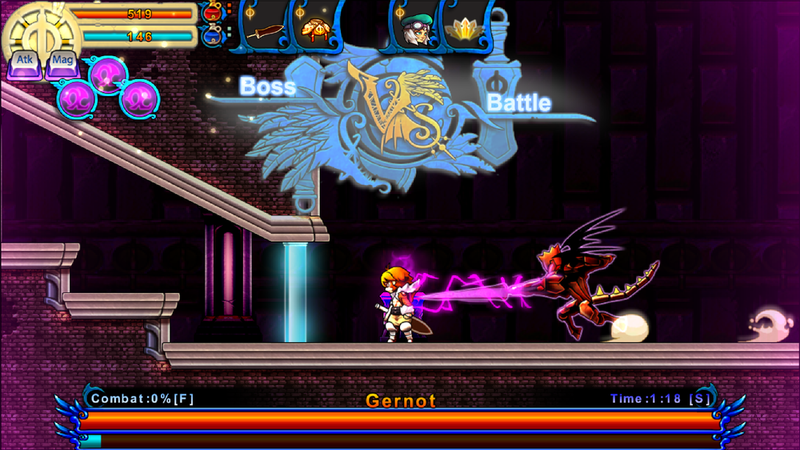 Valdis Story is a side-scrolling action game with combo-based fighting, inter-connected zones and 4 playable (and customisable) characters. You play as one of four crew members of a sea voyage who was sucked into an underwater city. You can be 1) Wyatt, a wandering warrior in search of his missing father; 2) Reina, an orphan trained to be a zealot/priest; 3) Vladyn, whose arm contains a hundred demons; or 4) Gilda, a demon trying to find out the pass of her grandfather. 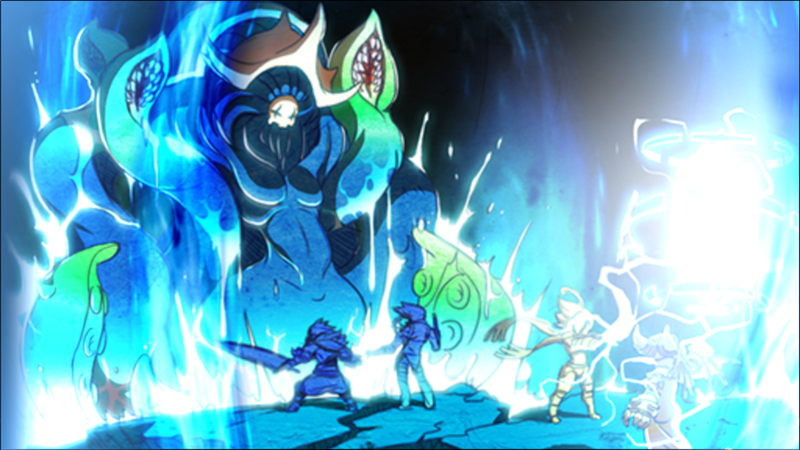 Valdis Story features a combat system seldom found in other metroidvania or platformer, and is based on combos (strings of light and heavy attacks), blocks, and skill cancels (for dash/dodge among other uses). There is also a choice of 5 different weapons for each character of different weight, range, and special effect. All of these combined into a very enjoyable and deep combat system where both skills and tactics are required for most encounters - be it bosses or ordinary enemies. All four playable characters are very different from each other, and each have their own skill tree and playstyle. With a level limit of 20, there are only so many skills that one can unlock in the skill tree. Although there are archetypal builds (e.g. strength-focused warrior relying on heavy attacks, or agility-focused shooter relying on critical damages), there are many more viable choices for one to experiment with. There are definitely character-builds that have trouble damaging the late-game bosses, but there is also ways for you to re-spec your character if needed. The fun combat and customisability/replayability is definitely the strongest point of Valdis Story. The game world is not very large, but is highly interconnected with a lot of obstacles. 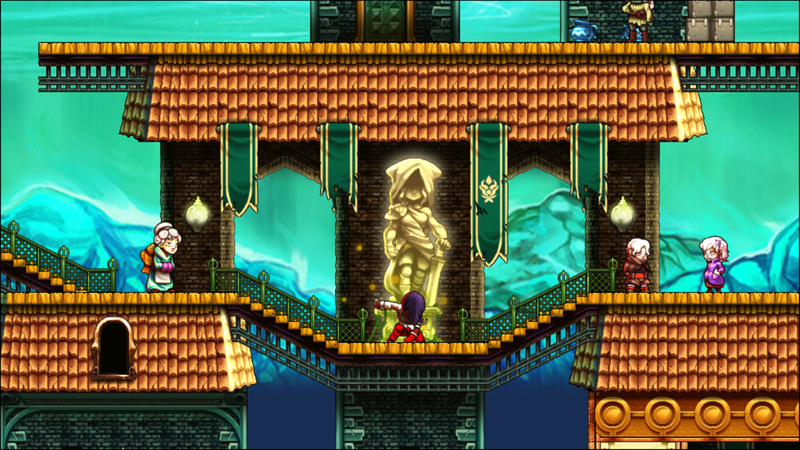 Some can be overcome by magic (wall-breaking magic or magical platform) and double-jump, while others require specific keys. Acquiring these keys and abilities are important milestones in the game, and exploration is both necessary and rewarding. One minor problems with exploration is the map. There is an automap function in the game, but it only ever shows the current area that you are at. (There is no overworld map, and you cannot access maps of other areas). The scale and lack of details also mean it is not very useful for finding your way around - as it only shows the number of exits each room has on each side, but not whether you can get from one end of the room to another (or even one exit to another exit just above it). The world of Valdis Story is full of NPCs. Not only can you team up with the 3 other playable characters, you can rescue/collect all of the other tens of crew members - some of them give you lore, and some give you equipment, train you, or craft things for you. The three main towns in the world are also full of villagers that you can interact with (and similarly give you equipment, train you, or craft things for you). But the more interesting aspect of the towns is that they have specific quest lines that, if ignored, can lead to the abandonment of the whole town. As mentioned above, the combat and customisability/replayability is definitely the strongest point of Valdis Story. It requires skill and tactics, but can also allow for experimentation. There are plenty to explore and lore to discover. And if you are good with navigation (or draw your own map), you can get a lot of enjoyment out of this unique metroidvania game.